The Active Business Centre has been providing Serviced Offices, Conference & Meeting Rooms and Virtual Office Services in Bury St. Edmunds, Suffolk for over 30 years. In business first impressions count, and Active Business Centre based in the historic St Andrew’s Castle certainly impresses. The centre provides flexible, fully serviced offices, conferencing suites, meeting rooms, and virtual office services (telephone answering and registered business address). Opened in 1989, we are one of the most prestigious business centres in East Anglia. We provide first class services to companies who need to focus on growing their business, not managing their office. Come and look around our elegant conference and meeting rooms as well as our serviced offices. Meet the team and tell us how we can further support your business activities, client meetings, presentations or training sessions. 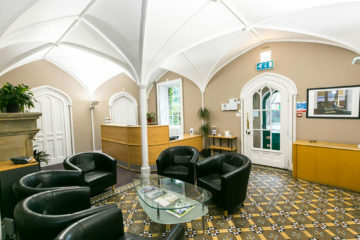 Our reception area and serviced offices provide the vital professional business face to all your clients and colleagues. The fully equipped offices have everything you need to connect your laptop or PC and start working straight away. We run your office so you can grow your business. We provide the important registered business address and telephone answering service to maintain your professional image. We understand the value of the first impression – our professional reception team will speak to your customers, take messages and ensure they are prioritised and handled according to your needs. 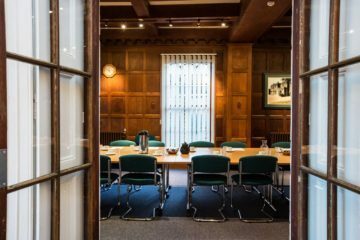 We offer prestigious conference facilities with a range of conference rooms including our elegant oak-panelled Library, with it’s adjacent conference room and smaller meeting and syndicate rooms. These suit virtually any style of business event. Stop Press – Office Availability!